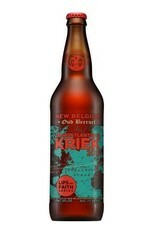 "In a never-ending quest to create new beers and defy category, New Belgium Brewing and Old Beersel of Belgium have partnered to create TRANSATLANTIQUE KRIEK , a spontaneously fermented lambic ale made with sour cherries. 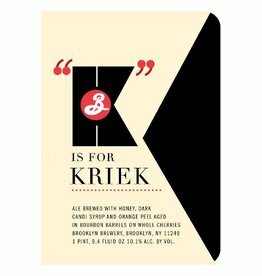 This authentic kriek beer began life in the oaken vessels at Gert en Jos Christiaens’ brewery in the Lembeek region of Belgium. After more than two years aging, Oud Beersel’s offering shipped across the Atlantic and found its way to the intuitive palate of New Belgium’s brewmaster, Peter Bouckaert. 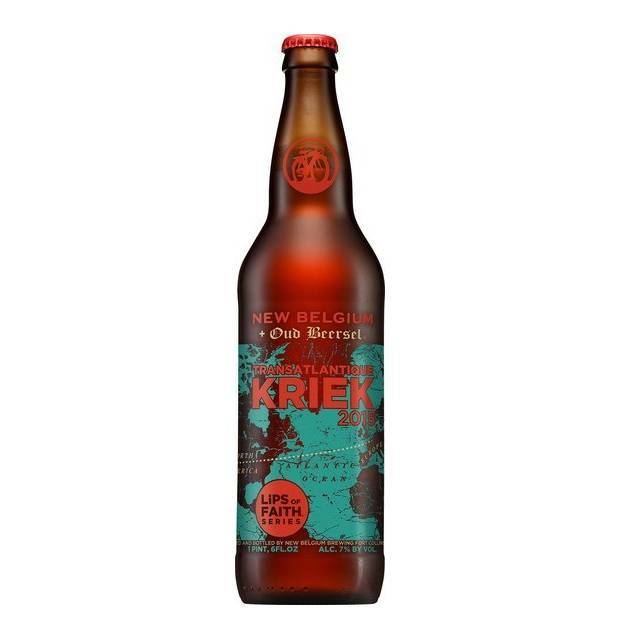 After much sampling and internal consultation, Peter and his brew staff created a full-bodied Belgian golden lager to round out the light-bodied kriek. The cherry nose gives way to a pleasingly sour flash across the palate that rolls gently into a slightly sweet finish. Crisp, effervescent carbonation keeps the mouthfeel bright and delightfully tingly."